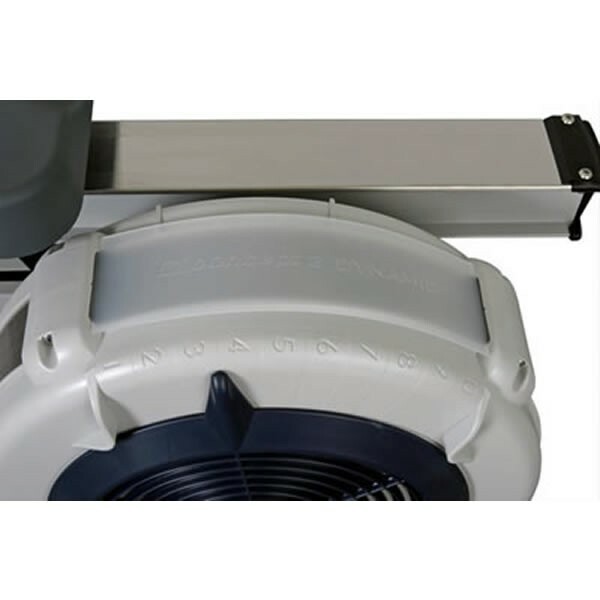 The clear plastic Wind Shield is located on the top of the Dynamic flywheel and designed to deflect air coming from the flywheel away from the rower´s body. Rowers who prefer the additional breeze can easily remove the Wind Shield by bending it slightly and pulling the tabs at either end out of the flywheel enclosure. All Concept2 Dynamic Indoor Rowers ship with a Wind Shield. For Dynamic Indoor Rowers only. Not designed or needed for use with Models D or E Indoor Rowers.